The Amver participating auto carrier Hercules Leader rescued six people from a disabled catamaran 275 miles southwest of Bermuda on Thursday, January 19, 2017. The 75-foot catamaran, Ninah, was sailing from Stewart, Fla. to Bermuda when they were struck by a rogue wave and activated an Emergency Position Indicating Radio Beacon after the vessel began taking on water. "We intend to stay with the boat as long as we can," a crew member of the Ninah reported to rescue authorities in Bermuda, "but we are prepared to abandon ship." U.S. Coast Guard rescue personnel launched a search aircraft and queried the Amver system. 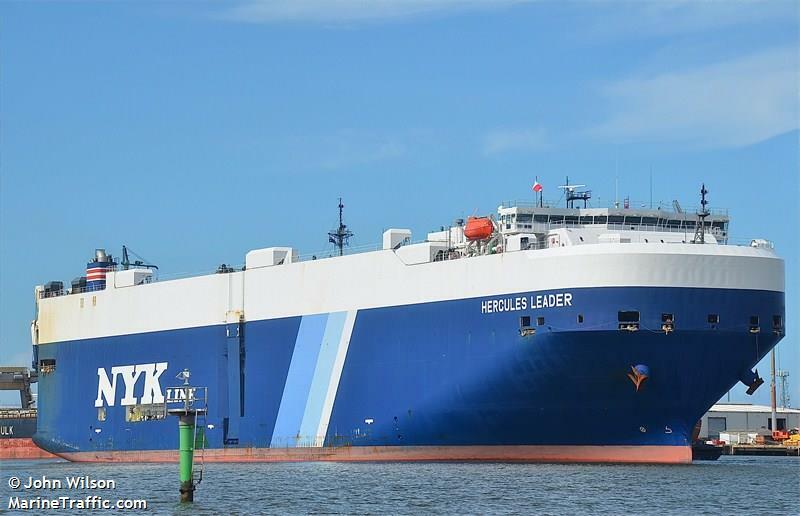 The 652-foot car carrier Hercules Leader was located near the Ninah and agreed to divert and assist with the rescue. Approximately two and a half hours after being notified of the emergency, the Hercules Leader arrived on scene and started rescue operations. Despite 30 knot winds and 14-foot seas, the crew of the Japanese flagged ship was able to safely embark the six crew off the catamaran. The survivors were uninjured and were taken to Bermuda where they were transferred to shore. 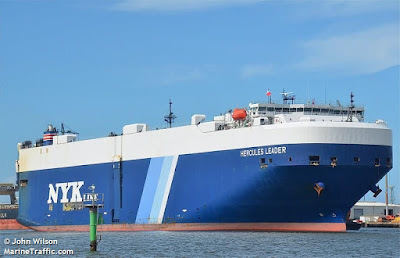 The Hercules Leader, managed by NYK Line of Japan, enrolled in Amver on March 8, 2011 and has earned four Amver participation awards.